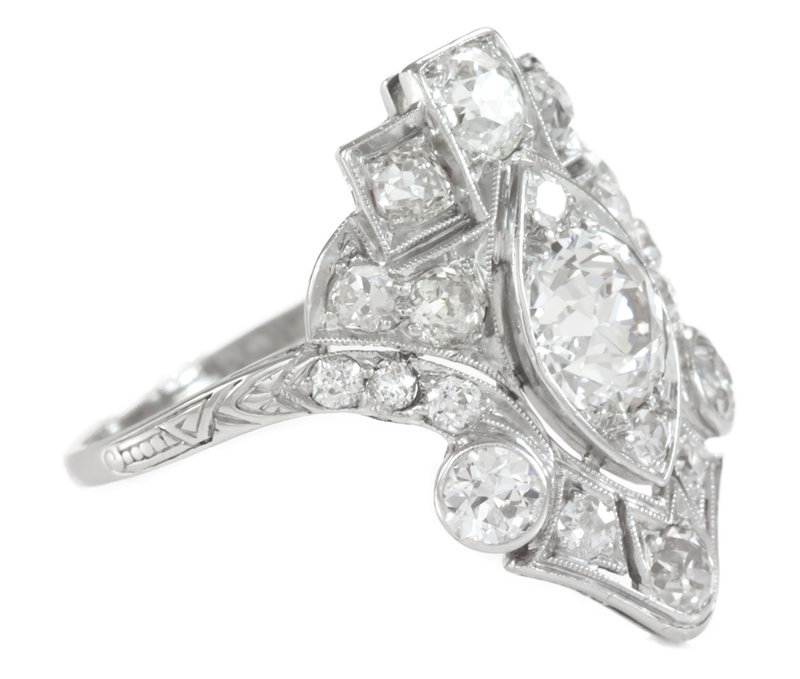 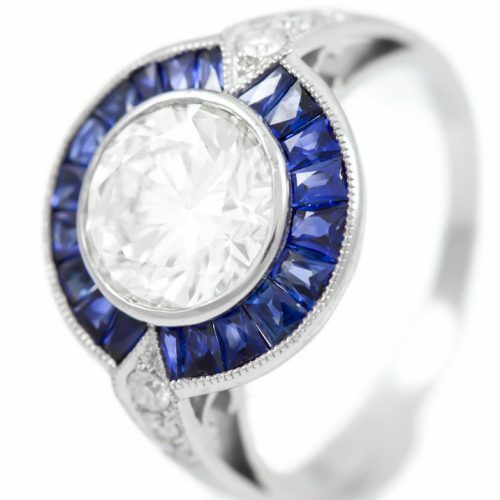 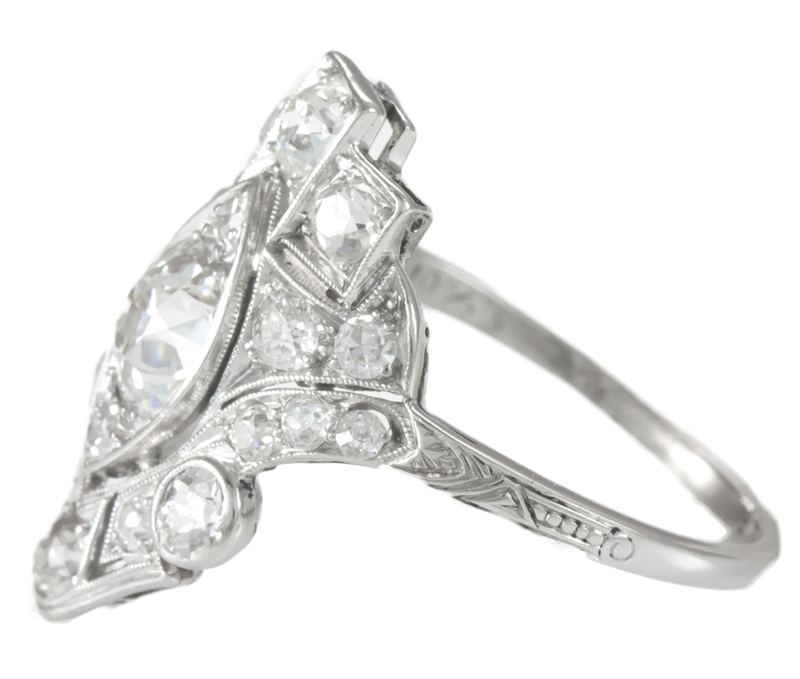 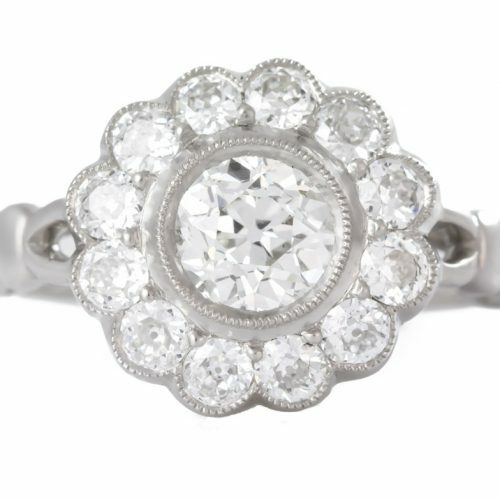 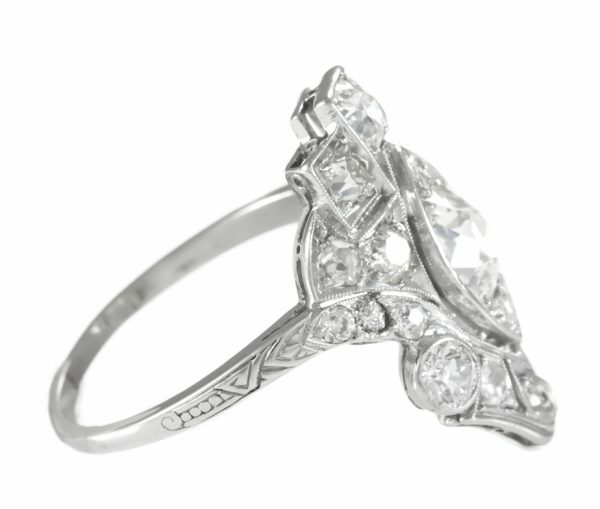 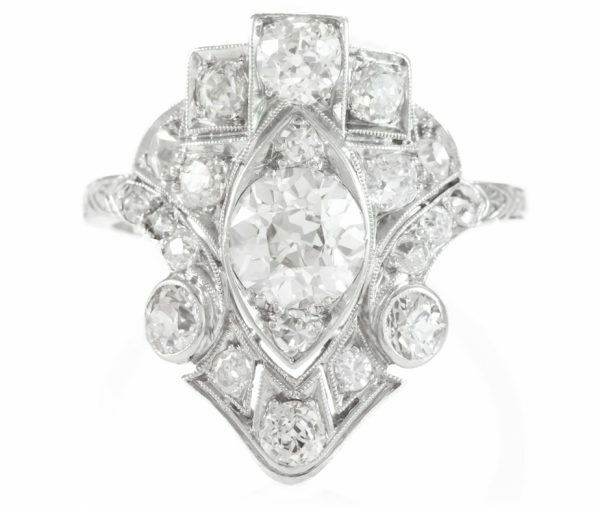 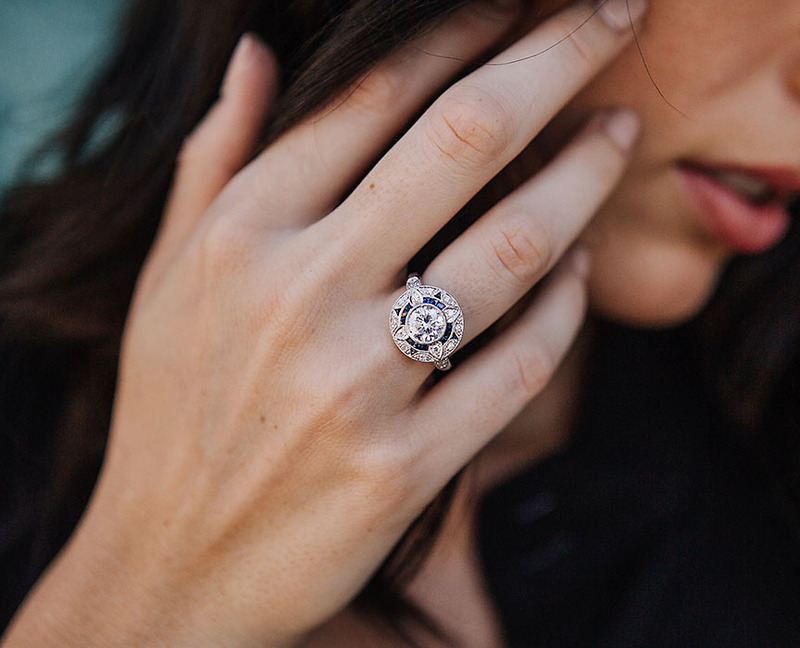 Lady’s Art Deco diamond ring set in platinum. 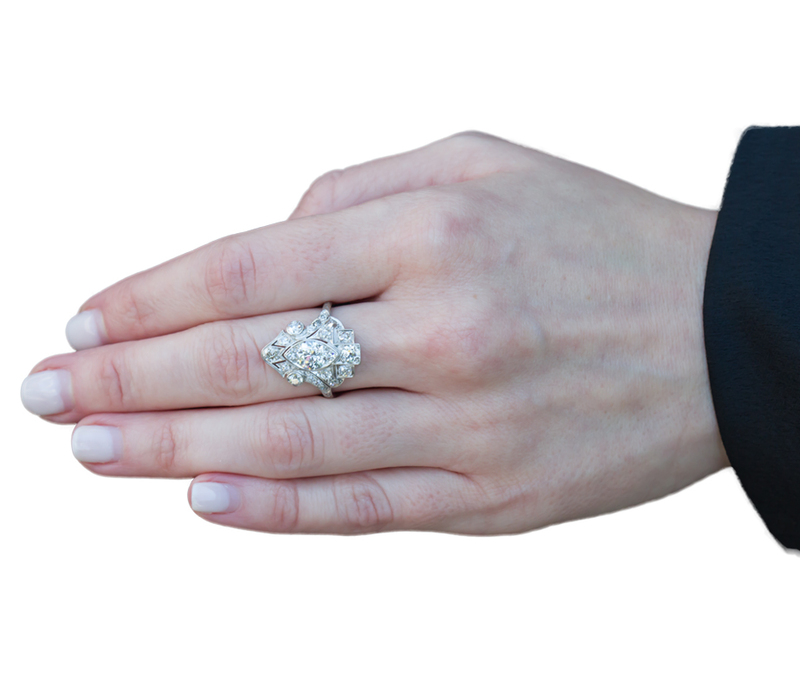 One (1) center diamond is 1.00 carats (estimated by formula) with a very high color and clarity for an European cut Diamond. 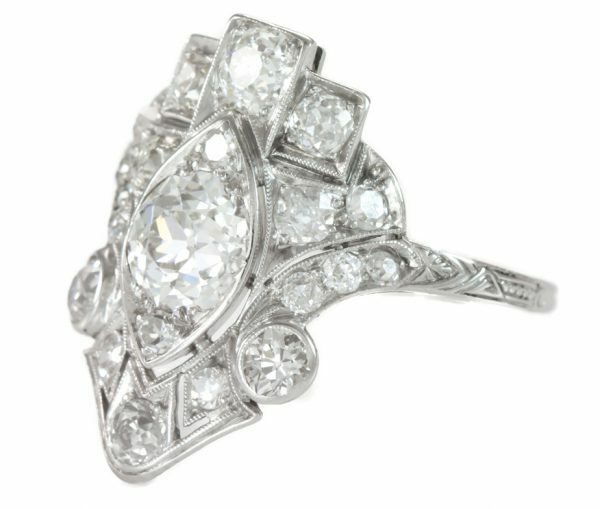 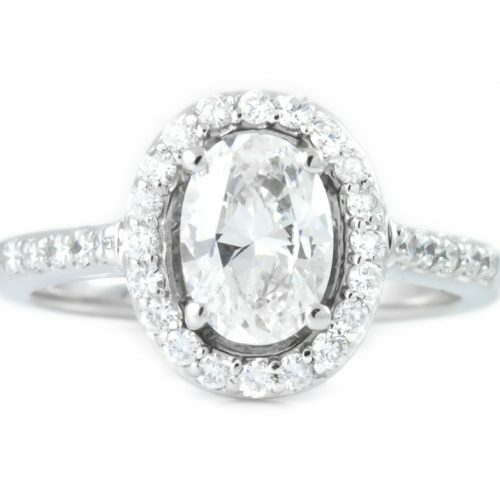 Eighteen (18) accent diamonds are 1.25 carats (estimated by formula), color and clarity complements the center diamond.